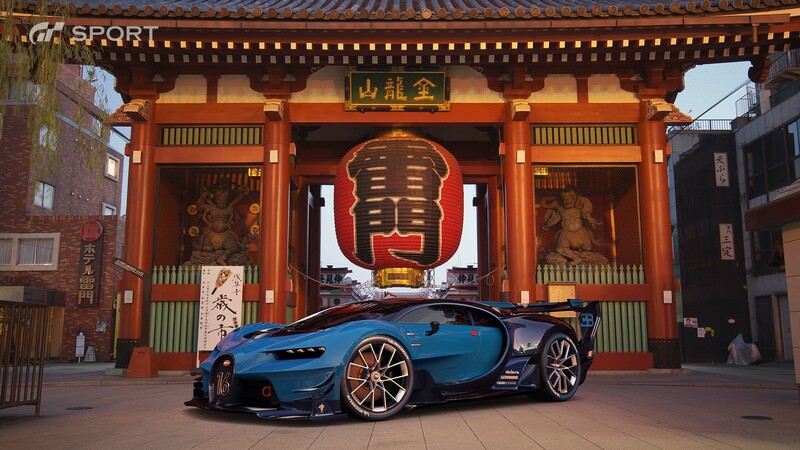 It’s been a long time coming but Gran Turismo has finally made its first appearance on the PlayStation 4 with the new entry Gran Turismo Sport. 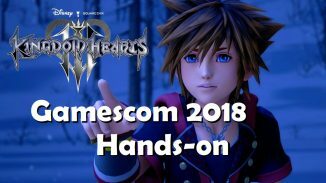 Polyphony Digital has taken their time in preparing this long running franchise’s first entry for Sony’s newest console and with it came great expectations. There are far more options on the market today compared to the past for those who are seeking a simulation racing game so this entry has a lot to live up to. I can say that in many ways Gran Turismo Sport delivers and is still one of the best realistic driving games available but it is also lagging behind the pack in some other areas. If you haven’t heard yet let me tell you this isn’t your typical Gran Turismo game. This isn’t a mainline Gran Turismo 7 and thus it doesn’t have anywhere near the amount of content in terms of car and track numbers. Instead the game focuses more on connecting players online and letting you compete to see who is the best driver. If you’re more of a single player type of person however GT Sport does still offer things for you to engage in. The Arcade mode and Campaign modes both offer many different events and challenges for you to take on. Campaign mode gives you a list of many different challenges and rewards you with a bronze, silver, or gold medal depending on the time or position that you complete it in. There are many different types of missions in here including ones that will teach you mechanics, circuit races and others that might ask you to race a certain part of the track and complete an objective in that span. As you complete events you are even given reward cars at certain points for your efforts. I enjoyed my time with most of the content here and felt like overall it probably improved my overall skills. Arcade mode allows you to set up single player races, play split-screen with a friend or engage in the PlayStation VR races. To touch on the VR features first GT Sport is not a full blown VR racing game. Every car and track is compatible with it but you are limited to 1v1 racing. Despite that limitation I still feel like the actually feeling of playing this in VR is fantastic. I never once felt sick while playing but I know this could differ from person to person. I played just using a Dualshock 4 but I can only imagine just how much better it would feel if you had the whole racing setup. This is a great first attempt at VR for Polyphony and hopefully we can see this expanded upon either in updates or future entries. The main attraction in GT Sport however is the online Sport mode. In this mode you can enter into both daily races and online championships with the goal being to raise your Driver Rating (DR) and Sportsmanship Rating (SR). I’ve always steered clear of playing most racing games online due to just how often I would get rammed off the track by other players. Polyphony’s goal was to avoid this in GT Sport and they achieve this mostly due to your SR. You raise your SR by racing cleanly which means not ramming into other competitors and playing dirty. By doing this you raise your SR and thus get placed into races with others who also strive to do the same. Should you play dirty you’ll again get placed with those who do the same. The system isn’t perfect however as sometimes when someone bumped into me I loss SR. It’s a minor annoyance that doesn’t happen frequently however. Another thing about Sport mode is that you can only enter races at certain times. Basically you register for an event, race a qualifying lap to set a time and then have to wait on a timer before the race starts. If you’re someone who likes being able to race whenever you want this could be an annoyance for you. I spent the time waiting trying to improve my time to get a better starting position. I’m really not into playing my racing games online but I really enjoyed and appreciate the system that Polyphony has created here to facilitate a fair and clean racing environment. To all of you other online racing games out there, take note. Finally in regards to modes since I’m reviewing this so long after release I think it’s only fair to take into account content that has been added since launch. 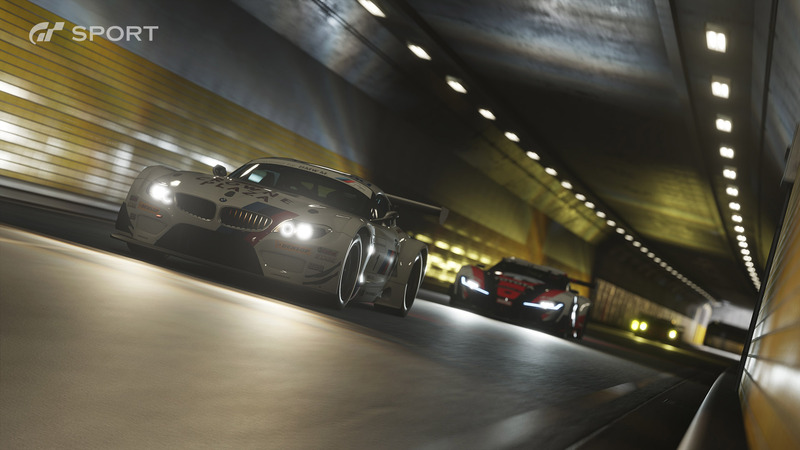 Polyphony has added a GT League mode for those who craved more offline content. This mode is closer to the old career modes you would find in past Gran Turismo games and offers hours of additional content. Further Polyphony will continue to add new events to this mode with several more having just been added this past week. 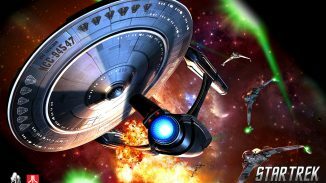 Another issue that has been addressed since launch was not being able to play offline. 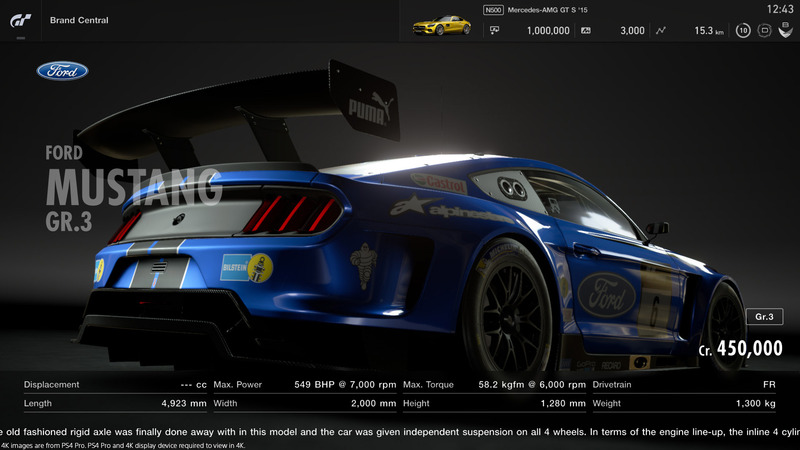 Now you can access the Scapes, Campaign and Livery Editor all while offline. However one of my main issues still stands where if you are disconnected from the servers you are unable to save your progress. I understand why this is given the focus on online racing but it’s still annoying to be playing only to have the servers or PSN to go down all of the sudden and be unable to save your progress. For those who want to know about the cars well there aren’t nearly as many as in the past and there are reasons for that. Past Gran Turismo games featured hundreds of cars but most of them were outdated models. Polyphony instead started over and built every car in GT Sport from the ground up for the PS4. 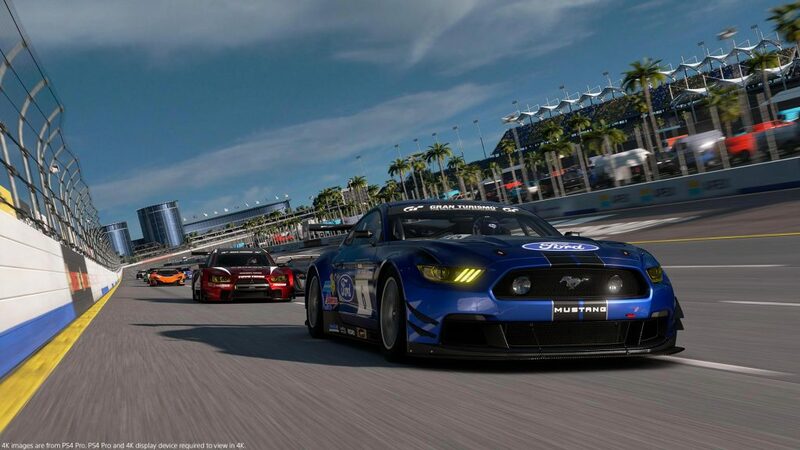 The developer has also been adding cars to the roster with free updates since launch and now stands at close to 200 cars from makers such Ford, Nissan, Audi, BMW, Honda, Mazda and many more. More cars and tracks will continue to be added to the game as well. 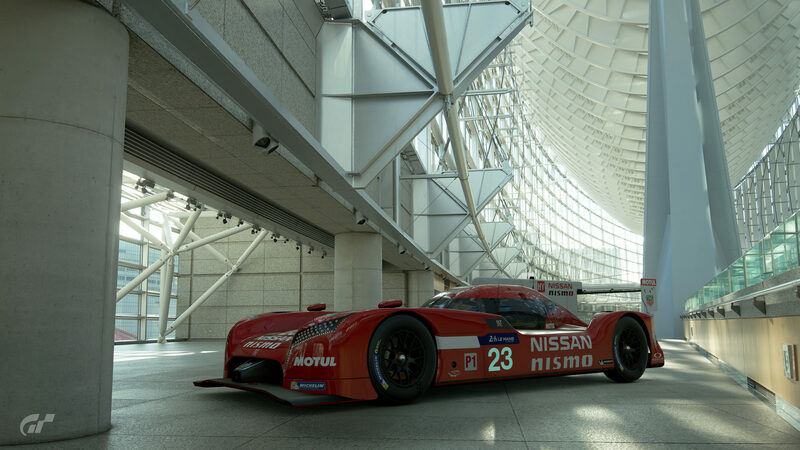 Gran Turismo has always been a franchise that has pushed the graphics technology on every Playstation platform and GT Sport is no exception. The visuals here are incredible with all of the car models featuring fine details both inside and out. The lighting system has been redone and is probably the best I’ve seen in any racing game to date. I played the game on a PS4 Pro with a 4K HDR compatible TV and was just blown away by the colors and attention to detail this game has. The game also runs at close to 60FPS at all times with only occasional dips. It isn’t just the actual visuals that look great however as things like the UI are fantastic as well. 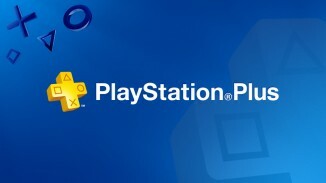 The main menu design is clean and makes things easy to access and find. As you browse you are treated to beautiful shots of cars in exquisite locations in the background. At times I would step away from the game and just let the the game essentially serve as a screensaver as it shifted between picture to picture just because it was impressive to look at. There are also social areas where you can chat with others online and share both things you’ve achieved and photos you have taken. You can then like or comment on all of these things as well just like it was it’s own Social media platform. The Scapes mode is also very impressive allowing you to pick from hundreds of location background and place up to three cars in the photo. There are a ton of option to edit and get the photo looking just how you want it before you take that killer shot. Trust me when I say this that some of the photos that I’ve seen look like they are real life. Sound design has also been an issue in past Gran Turismo games but Polyphony has upped their game in GT Sport. While it’s still not the king in this area the overall sound design has seen a drastic improvement with engine sounds in particular sounding much more realistic. It took until the fourth year of the PS4 lifecycle but for those who are seeking a real driving simulator on the platform you now have it in Gran Turismo Sport. Yes it has less cars than the last entry but on the other hand the close to 200 of them here are look flat out incredible. The game also is the best online racing game on consoles in my opinion while still offering a good chunk of content for those who prefer to play alone. 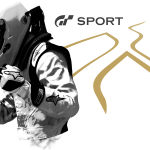 There is still plenty of room for improvement for a potential GT7 but for now if you’re a racing fan who owns a PS4 Gran Turismo Sport is a must. 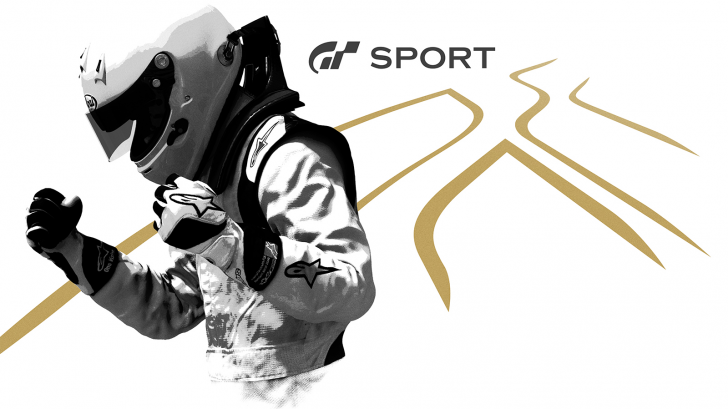 *Gran Turismo Sport is available on PS4. Reviewed on a PS4 Pro. Review copy provided by the publisher.